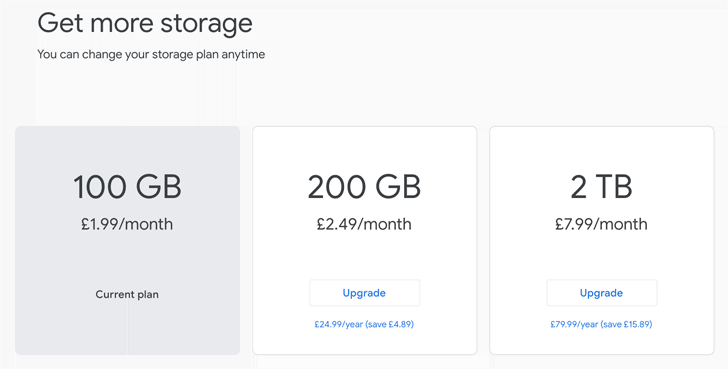 The Google Drive storage package, Google One, finally makes its debut in Canada and the United Kingdom. Other markets set to receive the service include Argentina, Australia, Brazil, Mexico, and India. However, Canada and the UK are the only international countries to have received the service so far. As a Google One subscriber, you get credits on the Google Play Store and deals on hotels found in Google Search. What’s more, Google One subscribers get 24/7 live customer support for all of Google’s products. 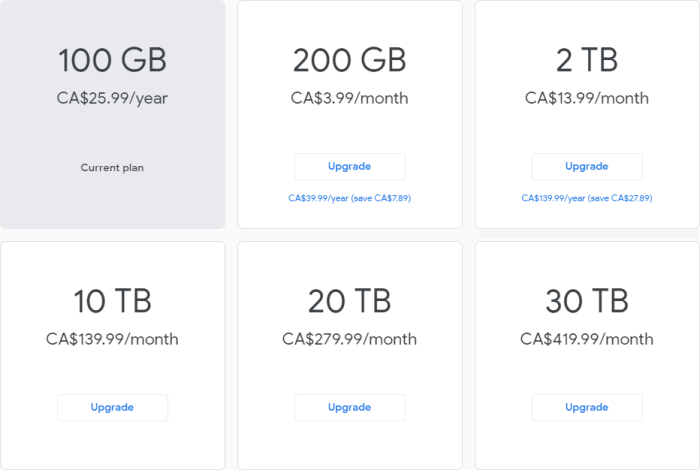 The extra benefits are a selling point, however, Google One also provides more Google Drive storage with each new tier. Here’s the pricing in the UK.